$999 for genuine or cloyes kit plus labour!! Now also doing Genuine kits for the same price! Just posting this here off another thread. 4 timing chain installs this week. 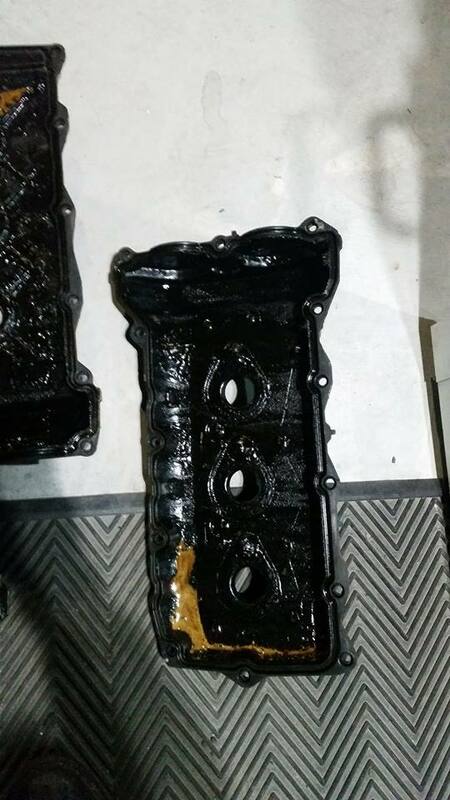 - 2010 Commodore LLT V6 100,05km, spun a main end bearing, fixing it now. - 2008 Omega LE0 175,000km, timing chain and gears needed. They all vary but majority of them are under 200,000kms. I personally don't believe the revised chains fixed the problem, specially with long service intervals. I agree with you! !! Any person looking at buying ve v6 put aside $$$$ for this. i can't believe how common this problem is. Hi Guys. Just acquired an early VZ -03/2005 leo euro 2 engine for my son. I wish i could report i am a happy camper. After just 4 weeks of owning it - had to replace the ecu and PIMM after it suddenly died and the TCM went off line for several days. After fixing those and giving it a general fluid change the damn thing pays me back with a noisy 'diesel' clatter. Is certainly the gift that keeps giving. Having read the various posts my recent problems seems like the known timing chain issues. The various videos is exactly the same of the clatter/noise I am hearing. However our VZ's noise only occurs after giving it a few extra revs - past 3-4000rpm when the oil warning also comes on. If I stop the engine and immediately start it again, it rattles for a few seconds then quiets down and so long as I take it easy (under 2000rpm) will run all day with no clatter!! Is this typical? Is the oil warning something not associated with the timing chains? Assuming i am up for chains etc, where is the cheapest place for parts/kit? Happy to fit myself to keep the costs down. Just thought I'd upload a few photos of some of the gunk we have had to clean, this one was off an Alloytec, but the SIDI's gunk up just the same. 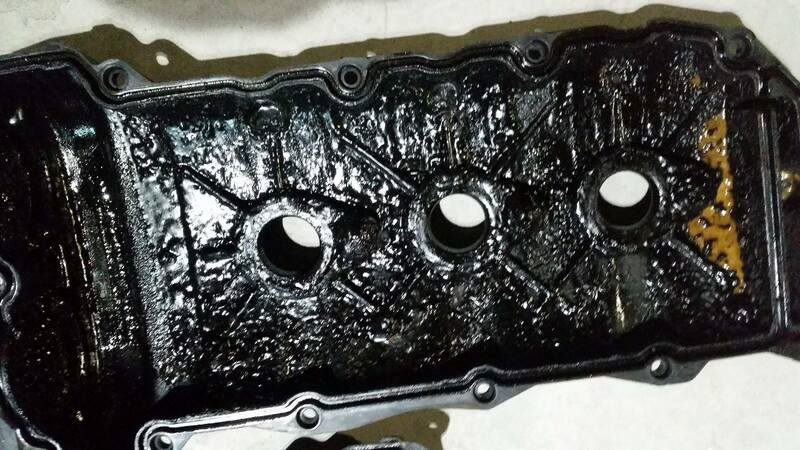 When we do the installs, the timing covers and rocker covers go through a sonic wash, so they are good as new, sump is also cleaned out. When installing these yourselves or getting a workshop to do it, MAKE SURE they clean out the motor, surprising how many cars are coming to us that have already had the chains installed by dodgy mechanics, failing again after a year. Family Truckster, Glenn D. and UnmedicatedLunatic like this. Geez that looks like mine. Took the cam covers off today....oh joy, something else to fix/clean on the VZ. Went back thru the service book - been serviced more or less at the recommended intervals. How the hell do cars with 20K intervals survive? 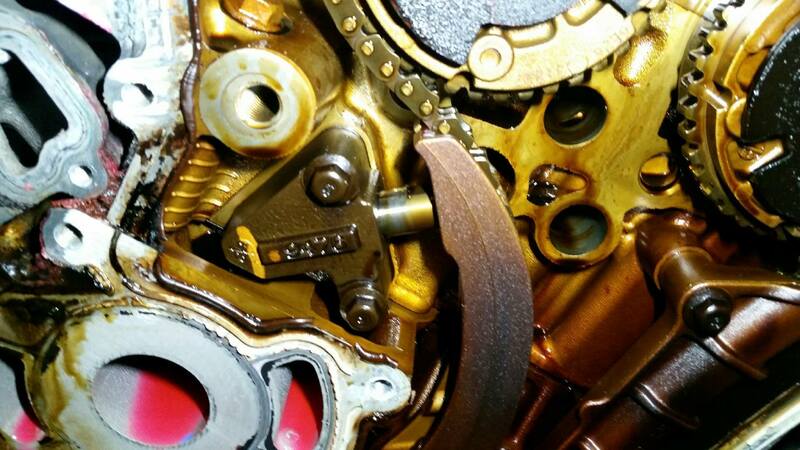 Is this the timing chain ?? im dreding it and hoping there is some other explanation ha. 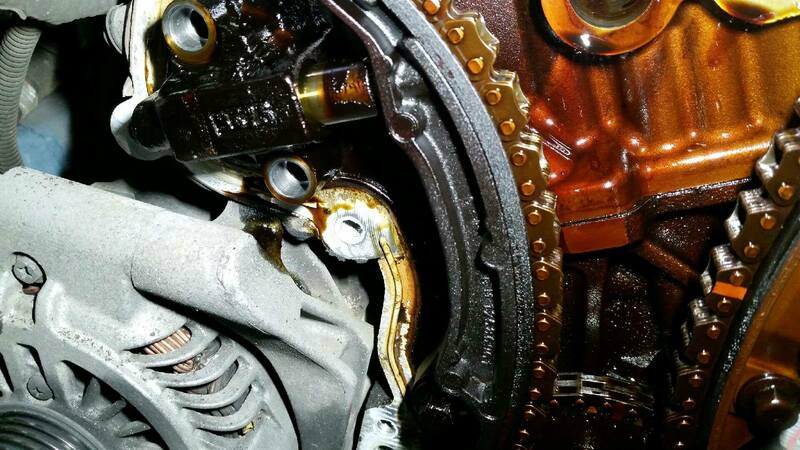 The day after I bought my VE Series II 3.0 SIDI I read one of these posts and vowed the od everything I could to avoid a timing chain issue. That was 5 years and 150,000km, and despite 7500km servicing, a whole lot of liquid molly and more than a few prayers I'm now up for the rebuild following what I suspect was an oil flush that left a bit of residue that blocked the sump pickup starving oil. My (limited mechanical) understanding is that the engine is that the oil pickup plays a big part in these problems. Has anyone found a racing style high volume pickup that can be fitted to the VEs that offers a much larger filter surface area? If I have to do the timing chain, I figure may as well take any preventative actions possible to avoid it happening again. What oil is everyone using with the problems. Have they had the car from new ? It's the months that the oil has been in the car that has to be looked at not the KM only, because driving short distance is one of the worst things for your oil, because that's why the sludge has always came and builds up. Make sure your PCV is working correctly. I had 2010 from new for 6 yrs..
Hi, I am also interested in finding out if anyone in the hunter/central coast area has had a new kit put in. 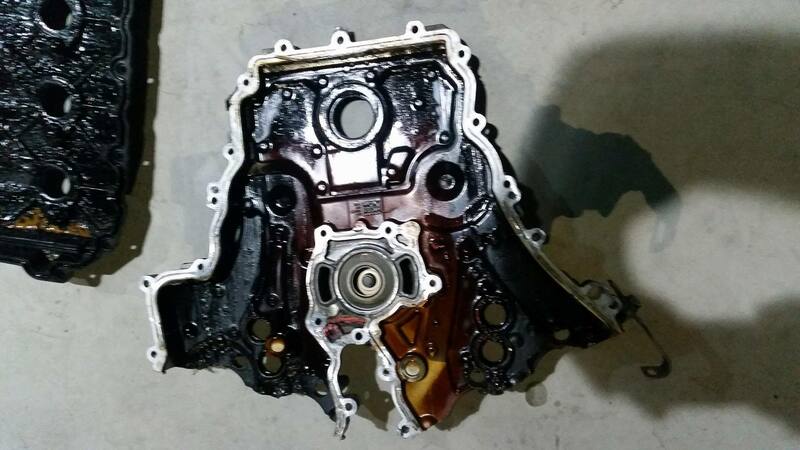 Guys, we are doing my friends Commodore timing chain replacement, but when we are looking at the crankshaft timing sprocket, apart from the little dimple there are no painted markings on it for where the chains have to go. Does anyone have a photo of a marked sprocket so that we can see the chain timing mark reference to the dimple? Castrol edge 5w30 and now 5w40 at 175K and always 7500km changes never used engine clean and all good. 12/09 Calais. 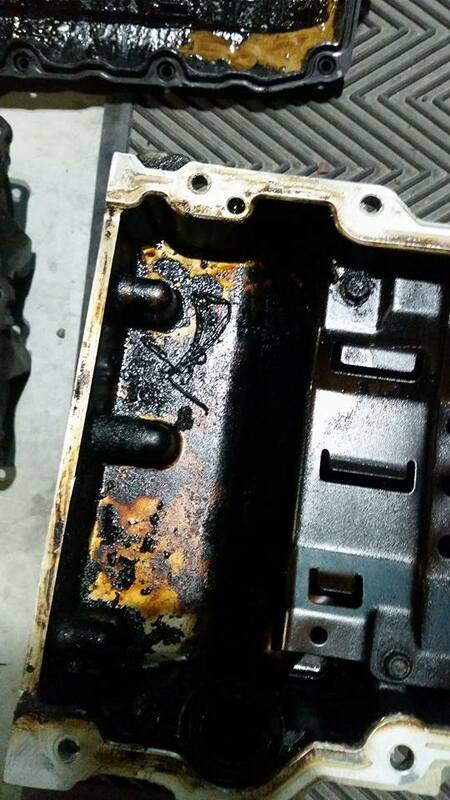 Think some oils(even top ones don't clean the engines enough), read guys say oil came out clean engine must be in good nick its really the oil dosnt have enough detergents to clean engine. Is it only the V6's with the timing chain issues or do the V8's have them to.